The silly celebratory season has hit our Wednesday morning scrapbooking class in earnest as we celebrate a few birthdays quite close to each other. 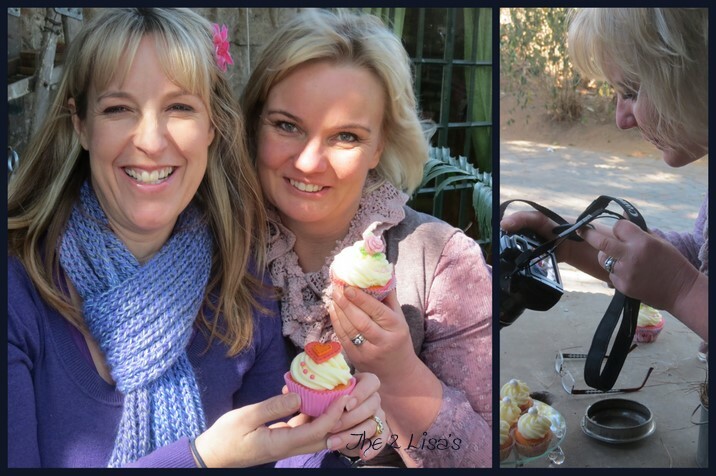 After the celebration for Lisa(TQO) it was the turn of our awesome scrapbooking teacher and guru, Lisa Myburgh. Lisa has a heart of gold and a superbly talented eye for everything beautiful around her. 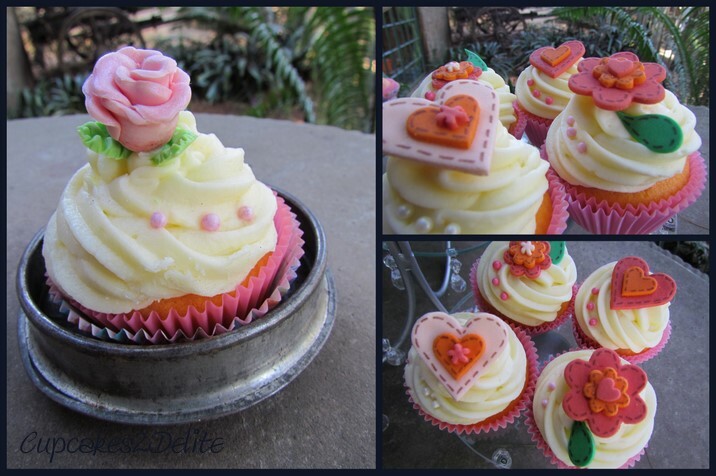 She loves anything vintage so I made some Orange velvet cupcakes in small vintage cupcake holders (http://www.ingoodcompany.co.za/ for her birthday as well as Orange Velvet with the prettiest scrapbooking inspired sugar paste decorations I bought from Baking Bitz in Randburg. 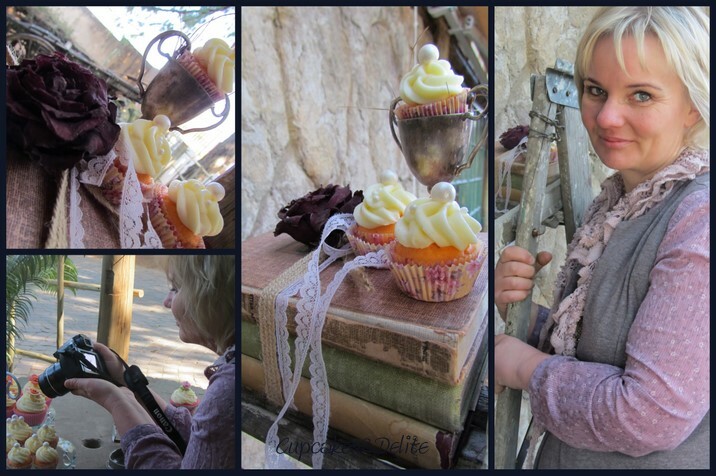 As you can see in the pictures above Lisa, never too far away from her camera, captured some gorgeous pictures of these birthday cupcakes and I managed to take this beautiful picture of her. Again it was a privilege to make these pretty cupcakes for someone as special as Lisa who humbly and generously gives of her talent, her time and her spirit in everything she does. We all love you madly Lisa and thank you for making our lives all the more special just because we know you. What a great website/blog you have here! I absolutely love the photos – Other Lisa is an excellent photographer! You are so welcome Dee and I always love using the new products I find in your shop and I love your friendly and helpful service! Aaah Lisa, thank you so much for your kind words and thank you for the beautiful cupcakes. mwah!!! You are most welcome Lisa.